There’s a prevailing theme in comics coverage this year that Marvel Comics are in a state of unrelenting disaster. Marvel has done little to assuage these fears, with PR disaster after PR disaster, and an uncanny mutant ability to stick a foot directly in a mouth. In truth, it’s been a startling fall from grace for Marvel since the conclusion of 2015’s Secret Wars – actually since October 2016, when Marvel bewilderingly decided to release the start of All-New All-Different Marvel 3 MONTHS before Secret War had even ended. After spending the vast majority of the 2010’s in control of the Big 2 power rankings, and watching DC Comics bumble through (an increasingly underrated) New 52, Marvel found themselves directionless and without a map in 2016. As I wrote in last year’s year-end “best of,” there were plenty of good Marvel Comics throughout 2016 if you knew where to look. Time after time, though, these books were not the tried and true staples of Marvel past, with an absence of Spider-Man, Captain America, Iron Man, Avengers, or X-Men anywhere on my 2016 best-of list. 2017 continues this trend, with Marvel still fumbling around in the dark before their Legacy initiative attempts to right the ship. Nonetheless, there ARE good Marvel Comics out there, sometimes on the fringes, and sometimes right up in the center of the Marvel Universe. These are my favorite Marvel Comics of 2017 (so far). 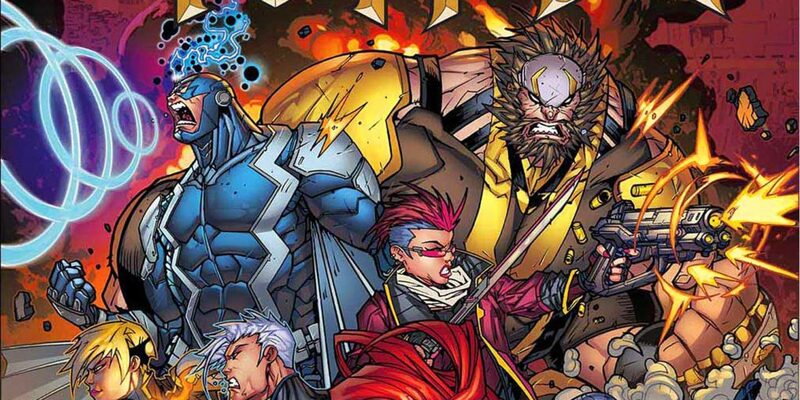 I had minimal expectations for a new comic starring the royal family of Marvel’s Inhumans. Issue #1 sets a great tone, though, with series writer Al Ewing launching the Inhumans into space (always a good start – just ask Transformers: More Than Meets The Eye ) and revealing Black Bolt isn’t who we think he is (unless you already think he’s who we aren’t supposed to think he is, in which case, you thought right). Honestly, this is the most invested I’ve been in post Secret Wars Inhumans, despite Marvel’s many efforts to place the longtime Fantastic Four cameos front and center in the universe. Ewing has a great track record with his Marvel work on the Ultimates, and the recent appearance of Ronan the Accuser in Royals #4 suggests this could be the next great Ewing cosmic comic. I did not expect Unworthy Thor to stand out as much as it did, but the miniseries addressing the Odinson’s fall from Mjolnir’s graces really delivered. 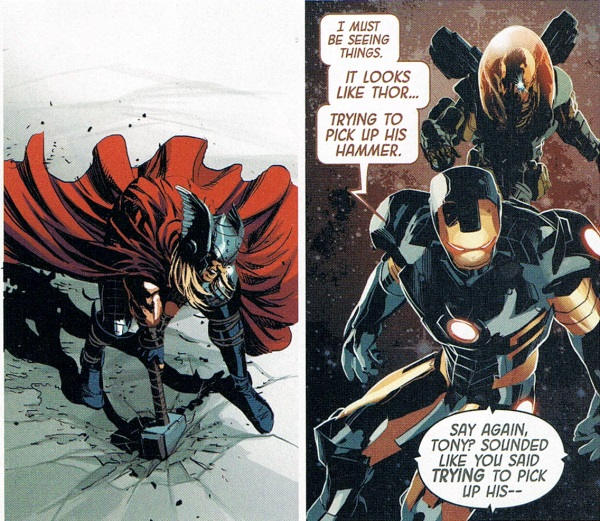 This is especially true if you’ve been keeping up with Jason Aaron’s run on Thor since God of Thunder in 2012. Unworthy Thor finally explains what happened in 2014’s Original Sin, and how it lead to the Odinson’s standing as unworthy. While years long secrets are an exceedingly overexploited trick in comics, Aaron actually pulls off the reveal with a clear connection to the themes of his now 5 year run on the lords of Asgard. Coipel’s art is great throughout, with surprising cosmic elements and appearances from Beta Ray Bill, the Collector, and several others I won’t spoil. Well. Hello there. Any chance you have an opinion on Secret Empire? I thought as much. I don’t believe I’ve ever seen a superhero comic book event create as much of a firestorm as Secret Empire, beginning all the way back in April 2016 with Captain America: Steve Rogers #1. If the reveal that Captain America is an agent of Hydra, and Marvel’s disturbingly confrontational approach to criticism, is several steps too far for you to even consider reading, I respect that. Secret Empire has offended a lot of Captain America fans and comic book readers, and that’s a reality requiring reconciliation. Looking at this as another in a long line of comic book events, Secret Empire is genuinely quite good, and miles better than Civil War 2 (sure, that’s a bar set in the dirt, but it’s a bar nonetheless). I loved Spencer’s work on Morning Glories and Superior Foes of Spider-Man, liked his work on Ant-Man, and have been consistently disappointed by his runs on both Sam Cap and Cap Steve. 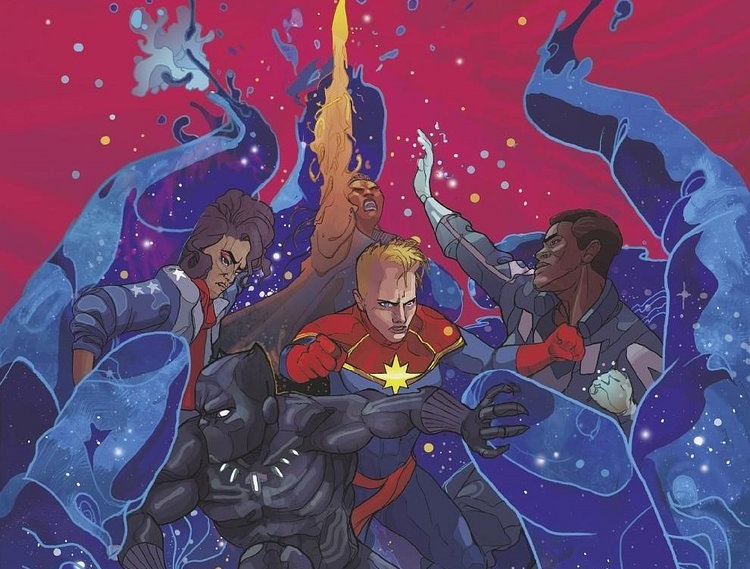 Secret Empire is a step up from the Cap runs, and makes effective use of the Marvel Universe and present day political fears permeating America. You’ll never convince me Secret Empire wouldn’t have been more effective as the Marvel alternate-reality version of DC’s Injustice, but as it stands it’s an event that I consistently want to know more about. Unbeatable Squirrel Girl is absolutely delightful, and remains the pinnacle of Marvel’s whimsical fare like Gwenpool or the Unstoppable Wasp. At this point, if you’ve given Unbeatable Squirrel Girl a chance and found it’s not serious enough for you, nothing here will change your mind. 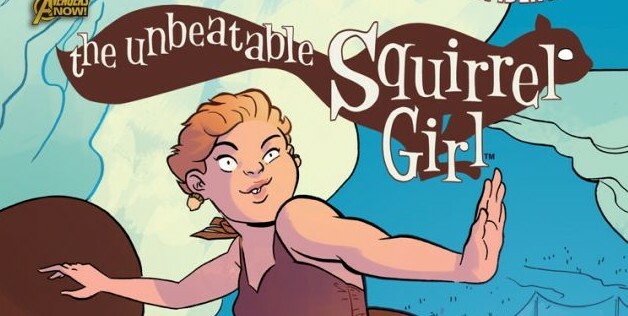 BUT, if you’ve been holding off on Squirrel Girl because… Squirrel Girl? For real? Yes, Doreen Green’s for real, and no series in Marvel kicks as many butts or eats as many nuts. The one consistent complaint I’ve seen against Black Panther is that the book is straight up boring. Frequently this criticism comes from long time superhero readers who have a certain expectation for Marvel comics. 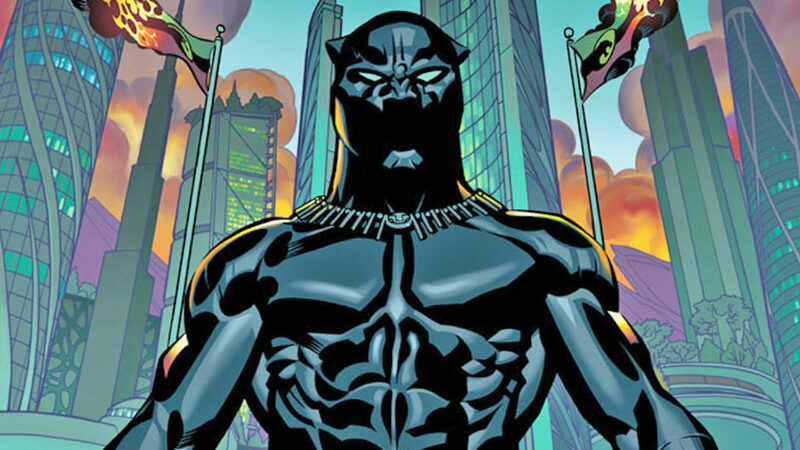 Personally, I’m willing to play the long game with Black Panther and Ta-Nehisi Coates, and see what Coates can do with the full benefit of an extended run. Black Panther wears its Jonathan Hickman influences on its sleeve – going so far as to spiral out of Hickman’s established character continuity – and the book reminds me most of works like New Avengers or East of West . Character’s spout impossibly well articulated philosophies in the midst of heated debate, and it’s highbrow, intellectual candy all the way through. Despite his power levels and prominence as Marvel’s Midnight King, Black Bolt’s inability to, you know, *speak* has prevented him from his own solo series until now. The vow of silence creates unique creative challenges, the sort you’ll see brilliantly handled in Jeff Loveness’ 2015 Groot solo series or in the “deaf” Hawkeye issues by Matt Fraction and David Aja. So far, the Black Bolt creative team hs circumvented these challenges exquisitely, with a visually addictive narrative about Blackagar Boltagon trapped in the prison designated for his brother, Maximums the Mad. It’s early in the run, and we’ll see how much power Black Bolt truly has in store, but to date, there’s a lyrical quality to Black Bolt not found in many other Marvel Comics and it’s well worth the price of admission. Al Ewing and Kenneth Rocafort’s Ultimates was my single favorite Marvel comic of 2016, and has proven its worth as the best Marvel cosmic comic in the post Secret Wars era. After a Civil War 2 tie-in, and a series relaunch, Ultimates has lost some steam, but Al Ewing and new series artist Travel Foreman still have some great ideas up their sleeve. This was most clear during the series latest release, when Galactus took on Ego the Living Planet in a completely new and fascinating manner. As any long time Thor reader knows, Galactus vs. Ego battles are nothing new, but Ewing puts a completely different spin on the seemingly predictable outcome (Galactus attaching a giant rocket to Ego with the aid of Thor and launching him into space). I’m optimistic that given room to grow (it won’t get it, but hey, dreams) Ultimates could have gone down alongside the Abnett and Lanning era of Nova and Guardians of the Galaxy. 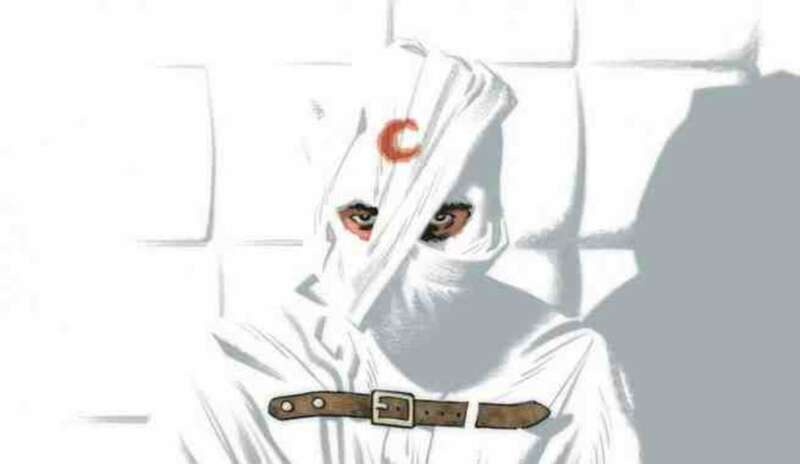 Moon Knight has been riding a comic series high since Warren Ellis and Declan Shalvey redefined Mr. Knight. Jeff Lemire and Greg Smallwood have taken the comic series to even more experimental heights with an untraceable blend of fact and fiction. Moon Knight’s multiple personalities have always made him an unreliable narrator, but placed in the confines of a mental institute, it’s even murkier how much of Moon Knight’s “truth” is a real part of his hero’s journey. Most important of all, Lemire and Smallwood are making one of the least conventional superhero comics out there, proving that a medium defined more by consistency than experimentation still has plenty of tricks up its sleeve. You won’t find many comic book sites celebrating the work of Bendis and Maleev harder than Comic Book Herald. Their early 2000’s Daredevil was one of my first favorite Marvel Unlimited loves, and I even enjoyed the heck out of their Spider-Woman and split personality Moon Knight vs. Ultron head twelve issues. Infamous Iron Man is a… tougher conceptual sell. 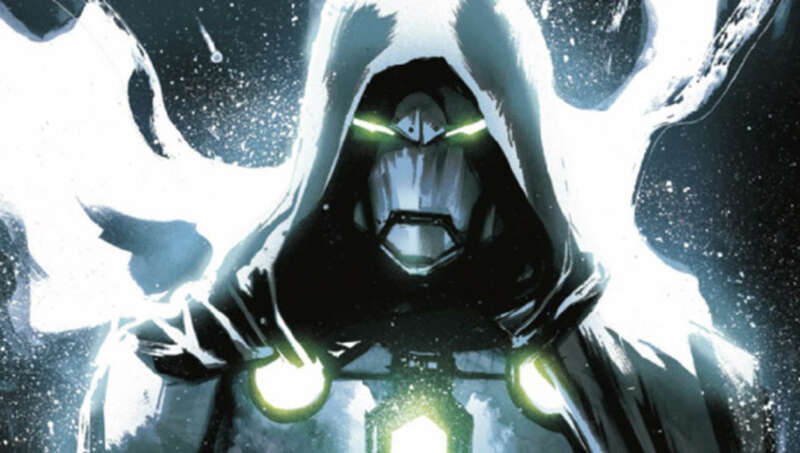 With Tony Stark sidelined by his Civil War 2 coma, Victor Von Doom, the most notorious and greatest villain in comics, has taken up the mantle of the Infamous Iron Man (although I’m fairly certain he leaves the ‘infamous’ part out on his business cards). When it comes to Thanos, I’m a bit protective. In general, I’ve maintained that very few creators should even attempt to touch the Mad Titan, aside from our cosmic overmind Jim Starlin. Over the past 20 years, the only creator who managed to tell a Thanos story that passed this test was Jonathan Hickman, aka the writer responsible for the best author-verse in Marvel since Chris Claremont. Jeff Lemire and Mike Deodato have astonishingly already proved up to the challenge with their launch of a solo Thanos series. Simply put, Thanos is excellent, likely even better than Starlin’s own take on a Thanos solo series in 2003 to 2004. 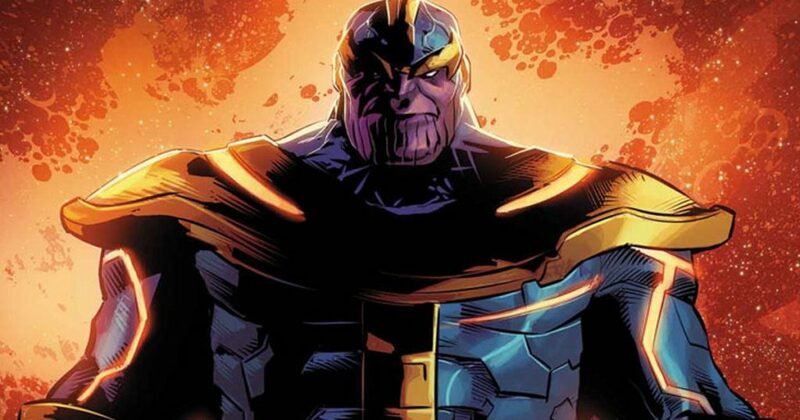 If you like Marvel cosmic, or series starring “villains,” Thanos is a can’t miss. Note for new readers, that Thanos is very much reliant on your familiarity with the past 5 or so years of continuity, including Hickman’s generals of Thanos as well as Thane, son of Thanos. The series also occurs in the wake of Secret Wars, with a notably weakened Thanos attempting to take back his rightful position as a galactic nightmare. Hi Dave, is this your final best of marvel 2017 list or is there an update to come? I’ve gotta say I disagree with you, and most other readers, on many of their choices for “best of”, but since I found your website, I’ve read so so many books, and found so so many things I love and wouldn’t have known otherwise. Thank you. It may sound trifle, but this really saves my life most of the time. Silver Surfer and Spider Woman are my favorite things coming out of Marvel right now. I’m not that big a fan of Humberto Ramos, enjoying George Perez’s work a lot more. But I like Mark Waid’s stories better than Marv Wolfman’s, at least his work on NTT.